The SP and BSP leaders are addressing public meetings to communicate that the BJP wants to push back historically oppressed and backward communities in Uttar Pradesh. 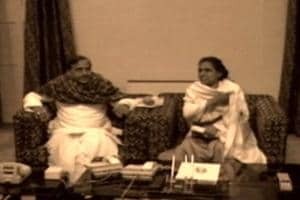 File Photo BSP chief Mayawati and Samajwadi Party president Akhilesh Yadav (PTI). Etawah/Mainpuri/Firozabad: An SP-BSP scenario, which was earlier considered impossible, is playing out in Uttar Pradesh this Lok Sabha elections. No, not the alliance between the two parties, which has already been sucessfully tried in bypolls in the past, but the manner in which the message of togetherness is being sent out by the two. Despite the dreadful April heat, the Samajwadi Party office in Mainpuri is surprisingly cool, its walls adorned with pictures of BSP chief Mayawati, SP patriarch Mulayam Singh Yadav and SP chief Akhilesh Yadav. The adjacent rooms also have photos of the three leaders, along with BSP founder Kanshi Ram and Dalit idol Bhimrao Ambedkar – a clear representation of ideologies of both the parties. Mainpuri is the hub of the Yadav bastion. Mulayam Yadav's village Saifai, which he is credited for bringing immense development to, also falls under this Parliamentary seat. Netaji, as he is popularly known here, is contesting from the Mainpuri seat and his victory is undisputed from here with or without BSP. Yet, the effort being made from this very place to send across a message that the Yadavs and Jatavs stand together is noteworthy. Tej Pratap Yadav, Netaji's nephew's son — who won this seat the last time after Mulayam Yadav vacated it and chose to represent Azamgarh, is not fighting the polls this time. He is, instead, on ground campaigning for his grand uncle. "The BJP is spreading rumours that despite an alliance there is no coordination among SP-BSP workers. 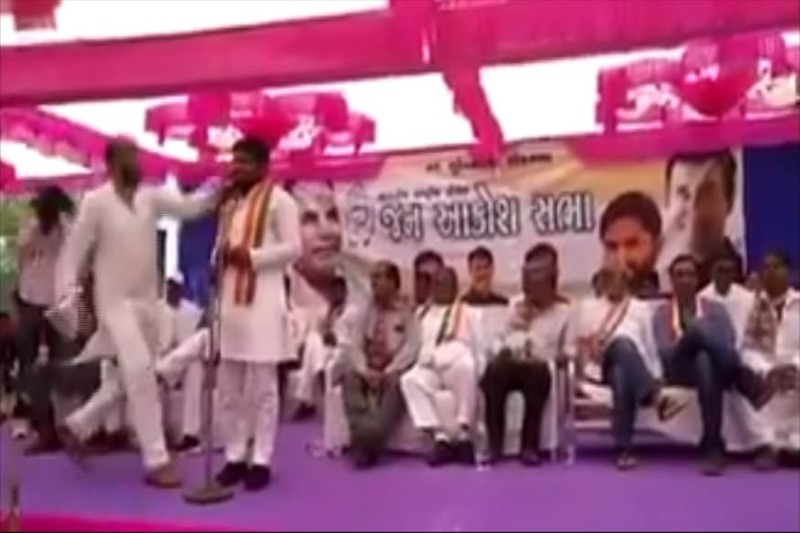 We are here to dispel this mischievous rumour mongering," Tej Pratap told News 18 in Bhogaon after attending a meeting with the BSP supporters. The BSP workers accompanying him told the crowds, "Bagal wali seat, jahan humara pratyashi hai, wahan Samajwadi Party ke log haathi pe batan dabayenge toh hume yahan cycle pe dabana hai." (Samajwadi party supporters will vote for the elephant (BSP) symbol for our candidate in other seats and here we have to vote for the cycle (SP) symbol). Leaflets with an impression of what the EVM machine will look like were also circulated among people to educate them. They showed Mulayam Yadav as the candidate wit cycle symbol and the EVM button next to it. But one villager had a query: “What if we select ‘cycle’ symbol but the vote goes to someone else?” He was referring to allegations of EVM tampering levelled by the Opposition in previous elections. Tej Pratap immediately responded to the query, saying, "Iss baar dikhega ki kise vote pada hai." (This time you'll be able to see who you voted for). He was referring to the VVPAT, voter verifiable paper audit trail that allows the voter to see if he has voted correctly. 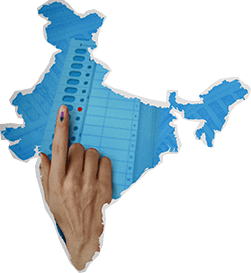 The villagers were also told to immediately complain to the Election Commission officers on duty if they notice any mischief or EVM breakdown on the polling day. 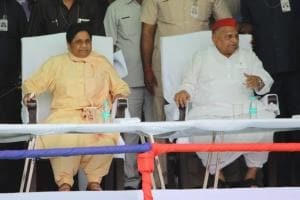 While most of the 50 men gathered at this meeting wore BSP caps, some wore double-coloured ones — red representing the Samajwadi Party and blue representing the BSP. Vans with audio systems have also been painted red and blue with pictures of Mulayam, Mayawati and Akhilesh. Flags fluttering on top of cars are also double-coloured. With perspiration trickling down his forehead, Tej Pratap used a ladder to climb atop a pillar with an Ambedkar statue in the village and garlanded it before leaving for the next public meeting. The SP and BSP have opted for such small sabhas addressing about 50 men and women in one go rather than opting for larger rallies. Person-to-person contact is being established. The message being communicated is that the historically oppressed and backward communities have had to come together to protect themselves from the BJP that wants to push them back to political and existential oblivion. In the Jatav-dominated Firozabad village, when asked which way they would vote, a woman said, "Jo behen ji ne kaha hai wohi batan dabega (We will vote for the candidate Mayawati selects for us).” Another added, "Yahan pe cycle hai (we will vote for SP this time).” When rebutted with a question regarding the Dalit community voting for the BJP symbol 'kamal' during last elections, a woman named Shyamvati retorted, "Woh aur hain, hum nahi. Hum idhar udhar mooh nahi marte. Apne mein jeeye hain, apne mein marenge (Those who vote for BJP are not from this area. We don’t believe in shifting loyalties. We vote within our community.) Shayamvati was perhaps referring to the non-Jatav Dalits. Here, gathbandhan candidate Akshay Yadav, son of Ram Gopal Yadav, is seeking a second Lok Sabha term. He stops by at homes and tells people that gathbandhan has done well in phase one and they need to build on it from here on. He also ensures that he visits the Behadwali Mata temple on Ashtami-Navami. The popular temple has been teeming with people cutting across caste lines during Navarati. Amid tall bamboo poles with red 'Mata' flags fluttering on top, Akshay seeks divine blessings, leaving nothing to chance in this crucial battle that has seen a coming together of opposing forces to remain politically relevant.